Renault has opened talks with Carlos Sainz Jr about a long-term Formula 1 contract, admitting his Red Bull loan deal leaves it "exposed". Sainz can be called back from Renault by Red Bull - which has backed his whole career so far - next year if it loses Daniel Ricciardo to a rival. 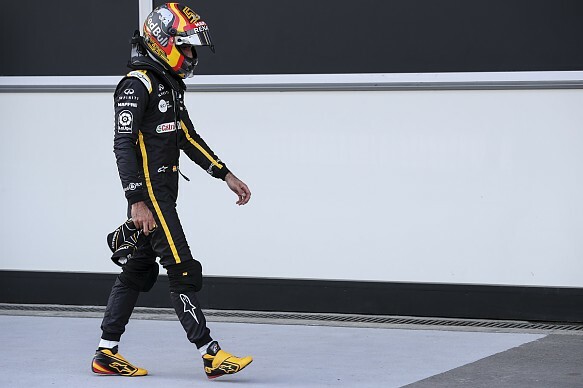 With Ricciardo's future unlikely to be settled until the summer, Renault is left in a difficult position regarding its 2019 driver plans. 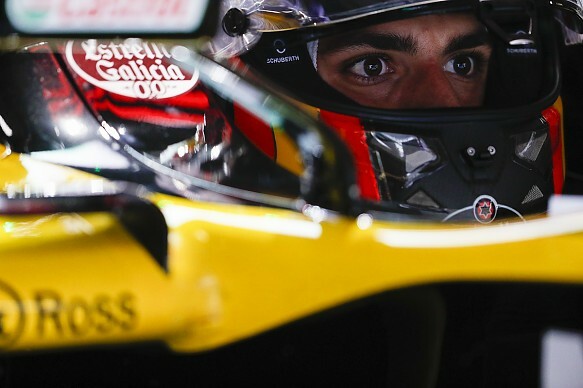 Despite that uncertainty, Renault F1 managing director Cyril Abiteboul said the team is discussing a long-term plan with Sainz so it is ready if Red Bull does not require him. "Obviously we have a particular situation with Carlos, which is a contract where we are exposed for next year, and we knew that since day one," Abiteboul told Autosport. "That's why we need to start thinking way in advance about what could be the situation. "We have already started discussions with Carlos about longer term, about what can happen beyond this year, accepting that it's not completely in his hands nor our hands. "[It is] not a super-comfortable situation to be in, but we need to accept that we are still playing catch-up on many areas and one of the areas is also the driver market, where we still need to try to be more in control of our future and of our destiny." Abiteboul admitted Renault was not yet strong enough to attract race-winning drivers such as Ricciardo, while its junior drivers such as Jack Aitken - who will drive its car in next week's Barcelona test - were not yet ready for F1 race seats. "We are interested in talented drivers, and Ricciardo is a talented driver," said Abiteboul. "Daniel Ricciardo is very well positioned to have a very clear understanding about where we are strong, where we can be weak, because obviously he is using a Renault engine, which can be good and sometimes can be wrong. "If we want to seduce drivers like Ricciardo - maybe Ricciardo, but maybe other drivers - the first thing that we need to do is to to get our stuff right. "And if we manage to build the best chassis/engine package, I am pretty sure that we can attract someone like Ricciardo because we can show that we are serious about our ambitions. "But the first thing that we need to do for Daniel is to make sure that we are in complete control of the engine situation." While Abiteboul is already pushing Red Bull to make a decision on its engine plans for 2019, as it also courts Honda, he is also eager for it to make a call on whether it wants Sainz back. "Maybe we cannot control everything, but at least we need to have visibility on the future," he said. "And that is why I am also acting to speed things up with Red Bull on the engine side, and that will be the same also on the drivers side."